MUSEUM GRADE QUALITY. STUNNING MUSEUM GRADE REPRODUCTION ENABLES. RARE SIGNATURE / AUTOGRAPHED PHOTOGRAPH. 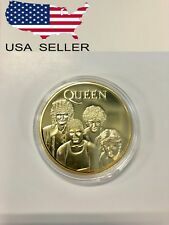 YOU TO OWN THIS UNIQUE RARE COLLECTORS ITEM AT. ORDER NOW FOR "SUPERFAST" DISPATCH. Condition new unworn. Size small, small available. Acrylic lamp Led Base operation - YouTube. Acrylic engraving is 250mm high with base and 150mm wide 4mm thick. 1 x Lamp Base. Lamp base Battery needed: 3pcs AA batteries(NOT Included). Or use the included USB cable to power the LED SignLamp( without batteries.). Queen & Adam Lambert live in Germany, 2018. 4 - Dennis Wilson feat. 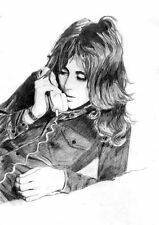 Brian May / Roger Taylor / Taylor Hawkins - Holy Man 7". 2 - Brian May - New Horizons 12" - Limited to 4000 numbered copies. Bohemian Rhapsody Movie Official Promo Embroidered Gold Backpack. Condition is New in official bag. Size approx 40 x 30 x 18 cm Bohemian Rhapsody logo embroidered on the front. Shipped via Royal Mail Signed For Delivery worldwide. Recorded at the Park Theater, Las Vegas on the 2nd September, 2018. Queen & Adam Lambert. Nice sound. Printed on New Generation High-Quality velvet finish Canon photo paper. 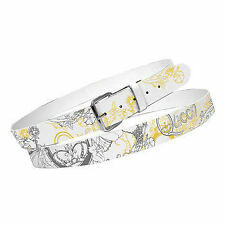 It would also make the perfect gift, a small token of affection for those special people in our life. Autographs are reproductions of original signatures. Max length at back from nap:- 72cm. Condition is Very Good. Artist:- Queen. Clothing:- Tour Jacket 1984 The Works. Condition is New in official bag. The ORIGINAL artwork taken from the album is bevel mounted within the display (as against being stuck on). HERE WE HAVE A READY TO HANG PRESENTATION, PRINTED ON PROFESSIONAL High-Quality photo paper and featuring a "Display Only" Disc which is grooved to give the effect of a Vinyl/CD Record. Queen At The Beeb CD SIGNED BY ROGER TAYLOR . Condition is Very Good. Dispatched with Royal Mail 1st Class Large Letter. NOTE: this is an Standard Definition bluray, so don't expect HD quality. 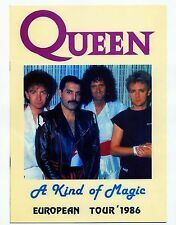 QUEEN, Fan Club Sticker Sheet (MEGA RARE) Freddie Mercury, May, Taylor, Deacon. 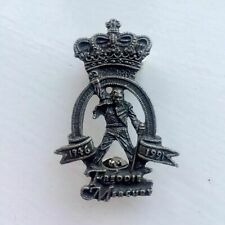 freddie mercury pin badge. Condition is New. Dispatched with Royal Mail 1st Class Large Letter. Engraved acrylic LED desk Clock. 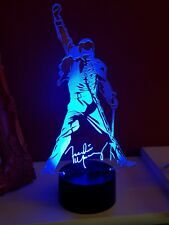 Queen led clock - YouTube. Acrylic engraving is approx 220mm high with base and 220mm wide 4mm thick. Or use the included USB cable to power the LED SignLamp( without batteries.). QUEEN - VINTAGE CAP. RARE. Vintage Queen Freddie Mercury Mirror. Condition is Good. Scratch near his wrist look at photo . Dispatched with Royal Mail 1st Class. HERE WE HAVE A READY TO HANG PRESENTATION, PRINTED ON PROFESSIONAL High-Quality photo paper and featuring a "Display Only" Disc which is grooved to give the effect of a Vinyl/CD Record. The ORIGINAL artwork taken from the album is bevel mounted within the display (as against being stuck on). Our ref: h b r.
Please note: These are copies of the original (not originals) These pre-print copies are an excellent and affordable way to own a (copy) of a star's signature, when the real thing can often be expensive and hard to find. They also Will make a great gift! Alchemy Poker Rox Inferno Etc. Who Wants To Live Forever. Love Of My Life. KNEBWORTH PARK - 8TH AUGUST 1986. THE MAGIC TOUR. (Not Originals). A great way to obtain an affordable copy / reprint of a star's autograph. SIGNED PHOTO PRINT. Premium photo quality gloss prints 255gsm grade 300dpi using vibrant fade resistant inks. WEMBLEY STADIUM LONDON - 11TH JULY 1986. THE MAGIC TOUR. (Not Originals). 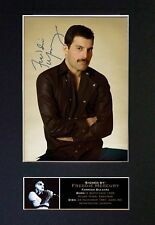 A great way to obtain an affordable copy / reprint of a star's autograph. SIGNED PHOTO PRINT. Premium photo quality gloss prints 255gsm grade 300dpi using vibrant fade resistant inks.